Does your dog enjoy brushing? Sometimes it can be stressful and unenjoyable for both you and your dog. 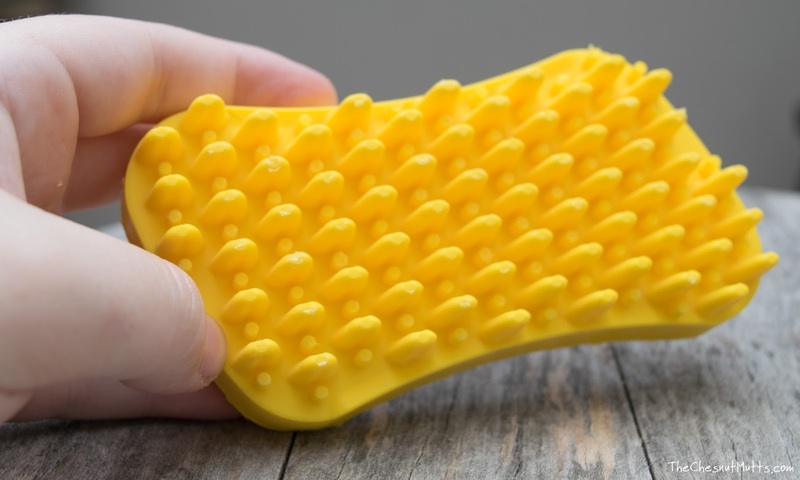 Furbliss™ is a revolutionary multi-functional pet brush which provides a relaxing massage, holds shampoo for a good scrub in the bathtub, and even removes fur off of furniture! 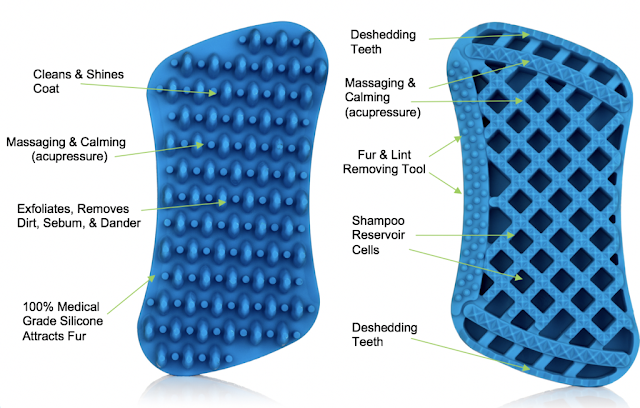 Vetnique Labs® is the company behind Furbliss™, the no-fuss brush™. We have actually reviewed another one of their products, Glandex®, and will be reviewing their probiotic Profivex® soon. They strive to make high-quality, U.S.A. made products. So what makes this brush different than the rest? 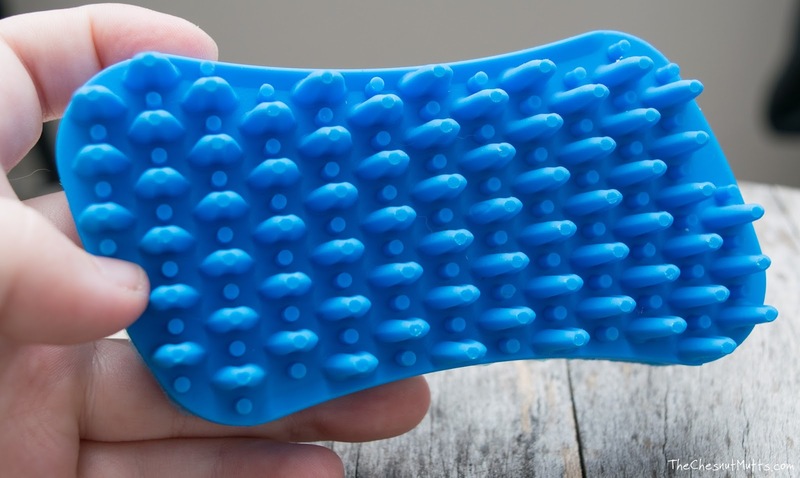 First off, it is made of medical grade silicone and it is easy to clean with a rinse in the sink, dishwasher, or even the washing machine! Each variety of brush is made right here in the U.S.A. and has two unique sides. Red - for large breed dogs with long hair. Silicone is firm and the nubs are set wide apart. Green - for small breed dogs and cats with long hair. 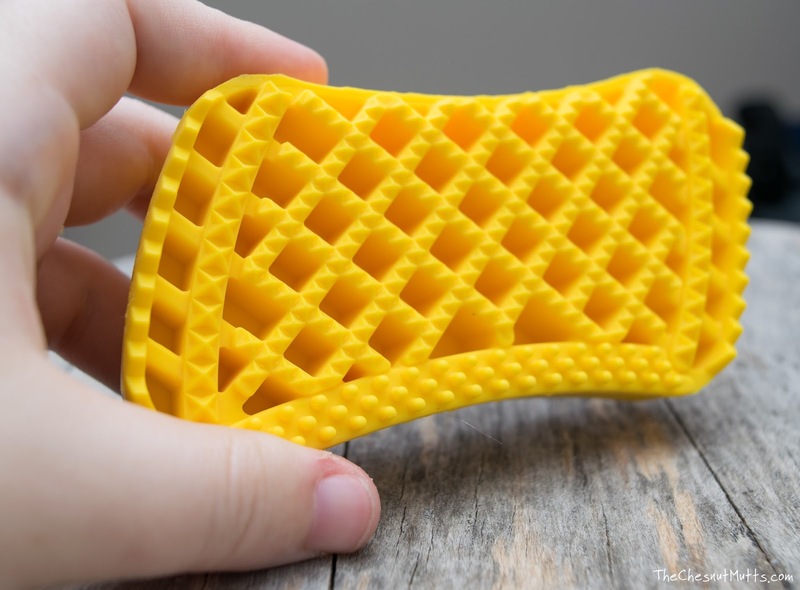 Silicone is between soft and firm with nubs set wide apart. Blue - for small breed dogs and cats with short hair plus all rabbits and pocket pets. Silicone is soft with nubs close together. 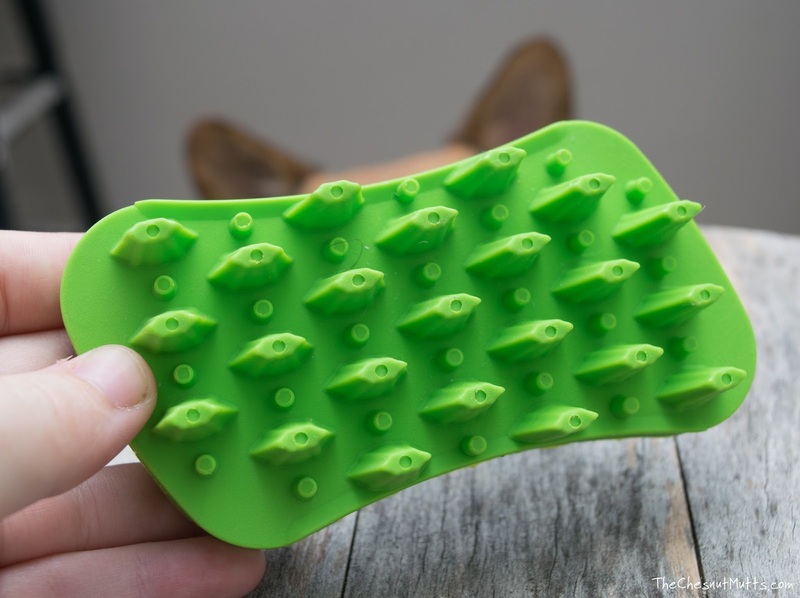 The side full of long nubs is great for massaging and cleaning your dog's skin. You know that doggy smell? It's caused by dried up sebum which is an oil secreted by the sebaceous glands located in the roots of the hair. 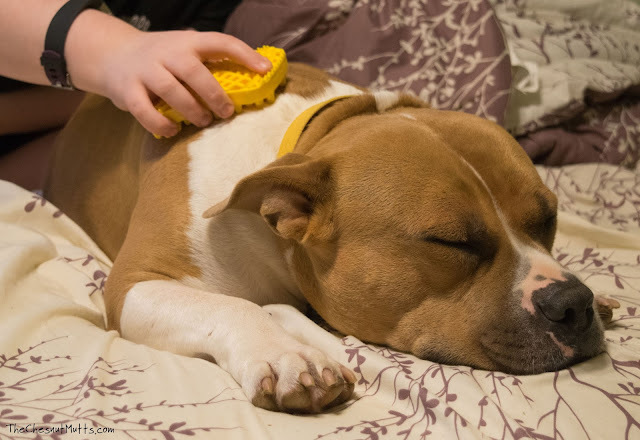 With frequent stimulation of the skin with Furbliss, it can remove the sebum and leave your dog less smelly with clean skin. Let's look at the other side: We have little triangle teeth nubs on the ends which are for some light deshedding, the flatter round nubs on one side is for removing fur from furniture, the pyramid shapes provide an acupuncture-like massage, and the middle is full of reservoirs that hold shampoo when giving your dog a bath. So naturally, I gave the pups a bath and the Furbliss did a very good job of distributing shampoo as well as massaging and removing loose fur. Gotta love a multi-purpose product! 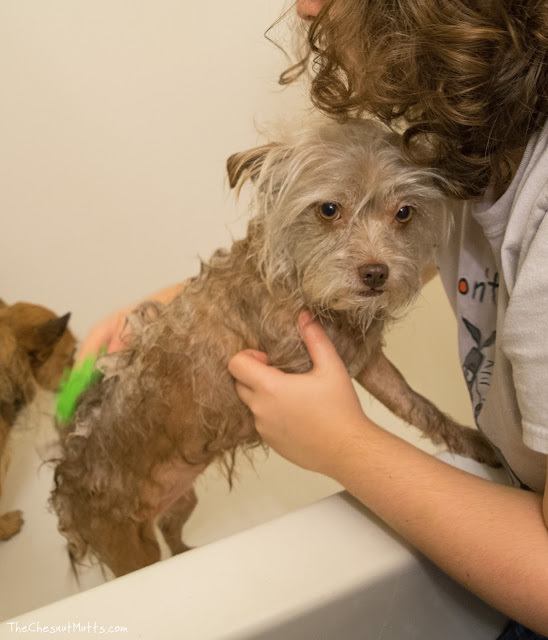 Bailey isn't into baths, but she LOVES massages! So this really made the experience better for her and the bath was shorter since I was able to distribute the shampoo easier. Just a portion of what was collected! One of the most amazing discoveries was how well Furbliss removes hair out of carpet! 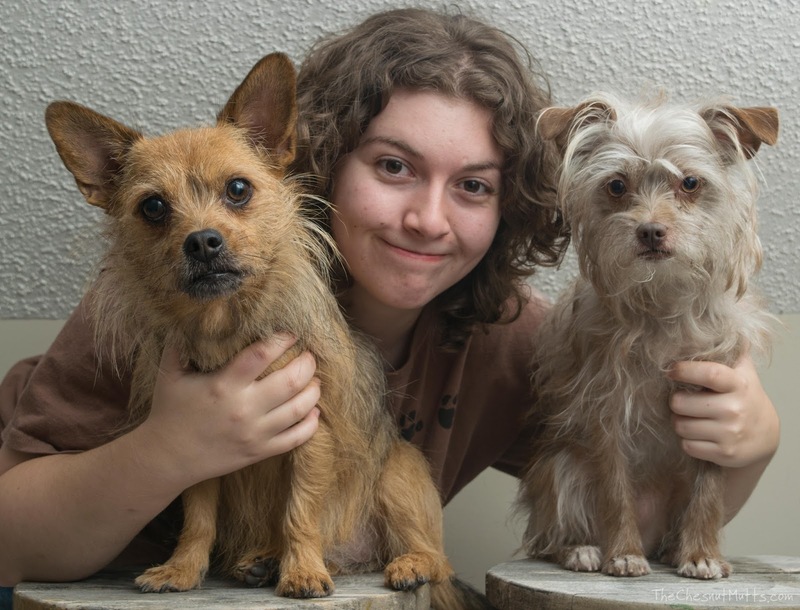 At the time of the photos, I was living in two carpeted rooms and I had no idea how much hair could accumulate over just a year! Holy moly. I Furblissed all over those rooms and it was so nice knowing I removed all that fur from the carpet's grasp. 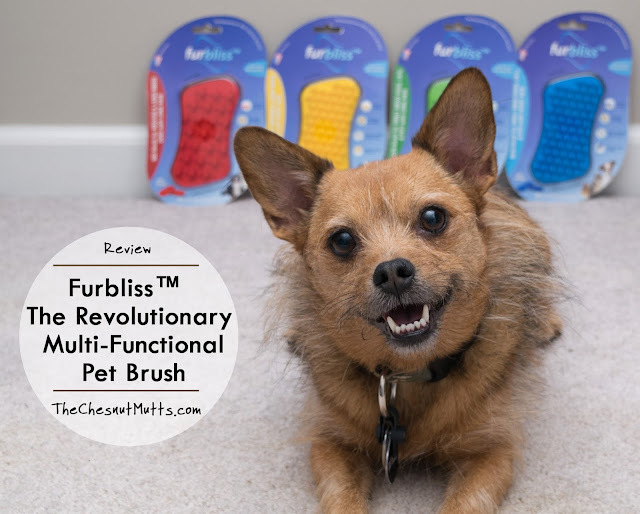 The Furbliss brush is great for everyday brushing and it is great to have different brushes for different types of dogs. 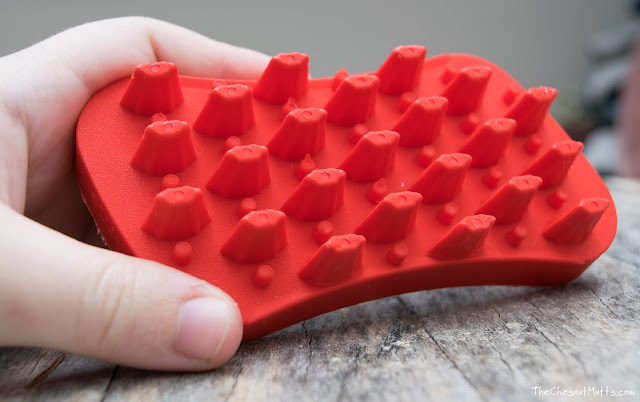 I think for short-haired dogs this brush is great as it attracts hair and can easily massage the skin. 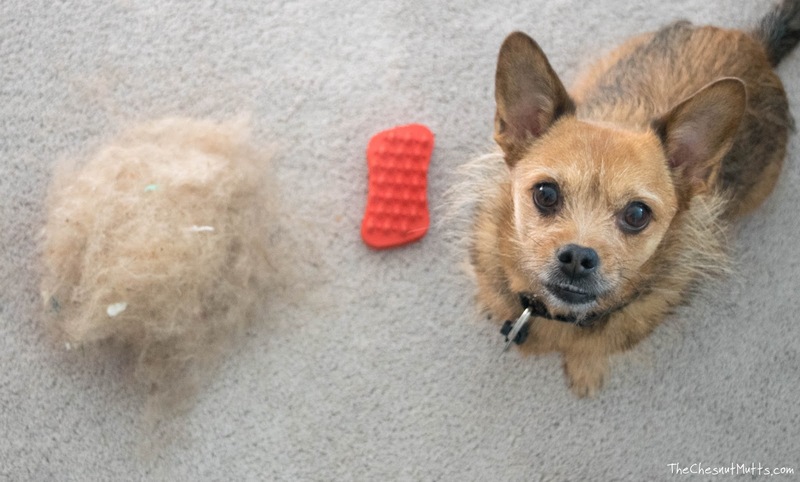 For long-haired dogs, it is harder to get to the skin with this type of brush, but I still think it has its uses for daily brushing and massaging. Overall the product is really cool and I love its multiple features. You can find Furbliss on their website. I think Furbliss has a really awesome design and I would recommend it to any dog parents who need a daily brush which isn't too harsh on the fur as well as short-haired dog owners as I believe it works better on them to get rid of loose hair. "Pick a color, any color!" 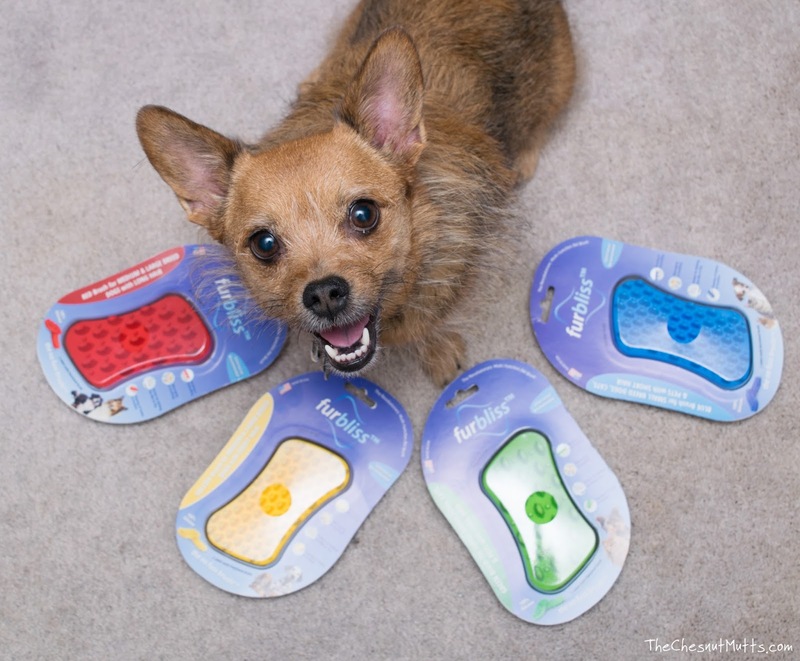 What are your thoughts on the Furbliss™? 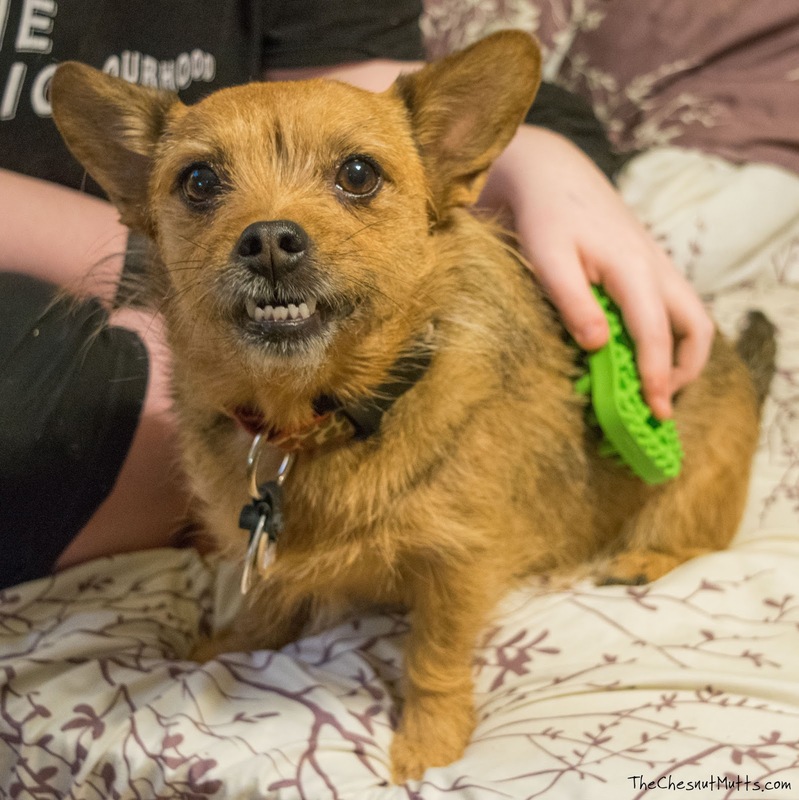 Brushing my dog sometimes becomes a painful and annoying experience for me. Your pet brushes are looking awesome in bestessay au their shape and colors, I am happy to know that they can be used for multipurpose functions. I have decided to give your brush a try.